What "national" day is it today? | A.B.E. Remodeling, INC.
Do you know what national day today is???? If you are a chocolate lover, December 16th is your day! If you could cover anything in chocolate, what would it be? It's National Chocolate Covered Anything Day! There are so many foods that are improved by covering them in chocolate, we do not have time to list them all. So go ahead, indulge, as this day is a chocolate lovers dream come true. OBSERVE Pick up some chocolate covered anything or try your hand a coating chocolate on one of your favorite treats. Use #ChocolateCoveredAnythingDay to post on social media. HISTORY Within our research we were unable to identify the creator of National Chocolate Covered Anything Day. Now let us know what your favorite chocolate covered items are. I am anxious to try chocolate covered bacon-haven't had the opportunity yet. And I saw there were chocolate covered ….pickles--->Does not sound good to me. How many chocolate covered items can you come up with. 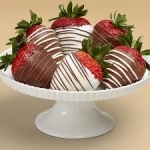 The first thing to mind for me is chocolate covered strawberries…. Okay, folks find something covered in chocolate today and indulge. Enjoy your day !! !